Kevin Miso - Surf. Music. Travel. 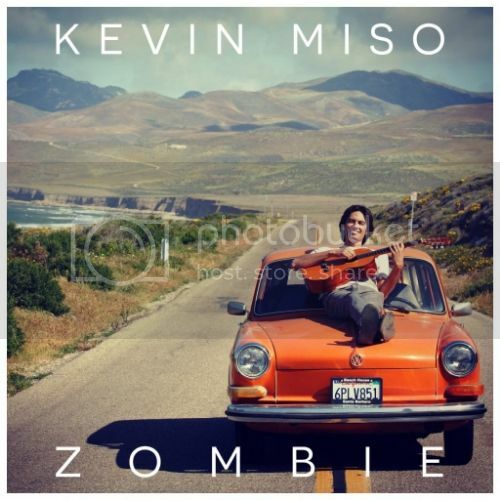 Click here to download Kevin Miso's BRAND-NEW Spring EP!!! I consider myself a lucky one. I consider it fortunate, just knowing where I’m from. Why people look so down, when they’re walking in the sand. Cause we’re living where roads run to the ocean. We’re living where new life can be found. So I won’t let my worries hold me down, the time is now. Come along, come along, it feels so good you can’t understand. For Love, we’ll make it, cause you feel just like Home. Cause if you hold on to peace of mind, then you never let it grow. You got the bread and jelly, but not the peanut butter. So ketchup with the rules or you’re playing to lose. We’re living where new love can be found. Than lying next to you on Sunday afternoon, can’t you feel it? See we’ve got it all, if you just want to Smile. Than being where we are and having what we have, don’t you see it? Than being where you are, and having what you have, don’t you see it now? See you’ve got it all, when you just want to Smile. Yeah when you’ve got it all, you just want to Smile. Oh, oh now’s the time for you to Rise Up. This land’s become second-hand to the purposes and the progress of man. A quick fix is a risky plan when playing it safe now means taking a chance. But I know out of life comes truth, like out of darkness the light pokes through. We can turn it around, it’s our choice to choose. Cause when you’ve got nothing, there’s nothing to lose. Well I cannot find myself, the quiet life is somewhere else. See when these roads show no signs for home, then you must build your own. So give it to me one time to spread the love. Give it to me two times to bless those above. Bring it back three times for the dreams we pursue. And four for me, for you. Falling in love is such an easy thing to do. But there’s no guarantee that the one you love is gonna love you. Lovin’ eyes they cannot see, a certain person could never be. Love runs deeper than any ocean, it feels your heart with emotion. What can you do once the music starts to play. And your ability to reason is swept away. Heaven on earth is all you see. You’re out of touch with reality. And then you cry, but when you do, next time around someone cries for you. Wondering if she’d stay, maybe just another day. Or if something he could say would make it any other way. Cause she’d never felt a love like this. But it always came from other’s lips. This love is all I’ve got, and all I want is you. Cause you can’t convince yourself once you know deep down. But true love beats that game. No, I don’t want to see you lonely again. Our hope won’t falter, we’ll find our way home. it felt like we’d just begun. It was you who let me go. It’s getting harder and harder to wake up in the morning. Maybe that’s just for you. Cause it felt like flying, till you reached the ground. Or if it’s all gone. Until you found out just what was at stake. Of just what you choose to believe. You can take your time, till it’s too late. And all we have is hope. Kevin's currently off tour, sign up for the mailing list to stay up to date! "Musical Mercenaries (Live at the Compound)"
The youngest of four children, Miso is a natural entertainer and picked up on music right away. “As a kid, I remember the upright piano in the dining room, and guitars would always be on the couch,” he recalls, “And at any family function, you HAD to perform something!” After teaching himself guitar, Kevin started to focus on his own music while attending college at UCSB in Santa Barbara. Since then, Miso has taken to music full-time. As an independent musician he has averaged over 170 shows per year, sharing the stages with artists as varied as Augustana, Sublime with Rome, The English Beat, and John Cruz. Equipped with a loop pedal and an array of toys, Miso showcases as a multi-instrumentalist – playing guitars, bongos, djembe, keyboards, and an occasional harmonica. Kevin’s debut EP was released on Feb 8th, 2011. His follow-up Summer EP “Smile” was released July 22nd, 2011. Recently, Miso has linked up with Don Williams, a pioneering music publisher with works including those of Bob Marley, Jimi Hendrix, and Tom Petty. Together they have catalogued a collection of songs with production by John Alagia (Dave Matthews Band, John Mayer, Jason Mraz), Kenny Passarelli (Joe Walsh, Elton John, Steven Stills) and Marc Ford (The Black Crowes, Ben Harper, and Booker T. Jones). The first single, entitled Zombie, was released under Caribou Digital in Summer of 2014 and earned him his first radio single. Peaking at 43 on Mediabase’ Top 40 Activator Chart and debuting on Sirius XM Radio’s Top 20 on 20. At the dawn of Spring in 2015, Kevin announced that he will be releasing a series of EP’s to correspond with each season of the year. The kickoff single Planet Earth, was released on March 20th, 2015 and the 1st of 4, Spring EP, was released on April 20th, 2015. Summer EP was released on June 21st, 2015. Fall and Winter EPs are unreleased. This seasonal collection of EP’s will lead up to a full length vinyl record Compass expected at the end of 2016. 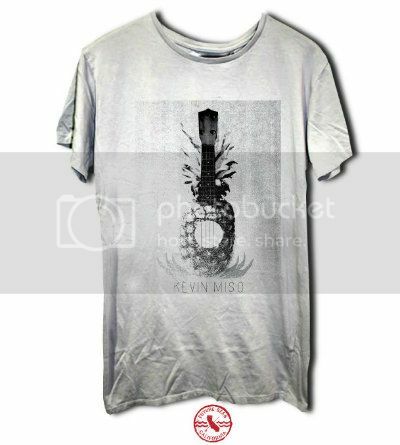 Click on button or picture below to order Kevin Miso's COMPASS COLLECTION!!! 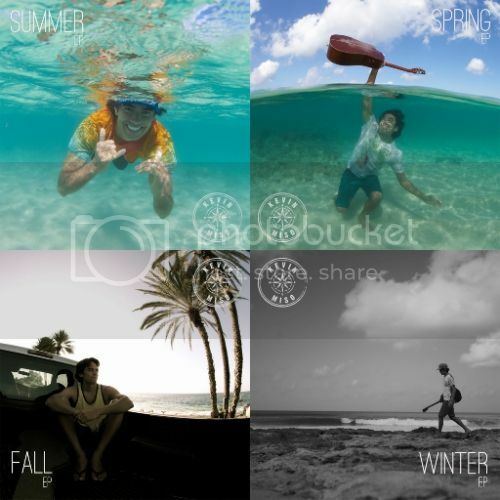 A release of 4 Seasonal EPs leading up to his full length debut album. 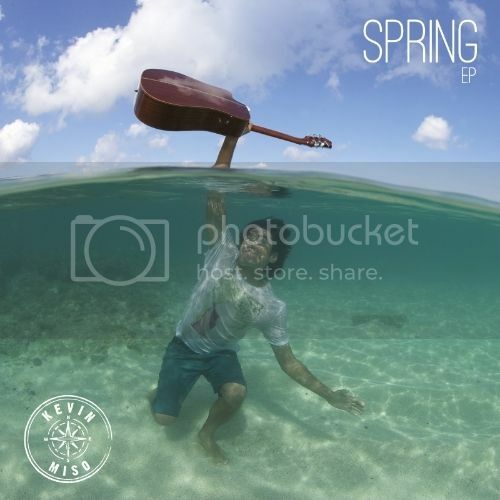 Click on button or picture below to order Kevin Miso's BRAND NEW 'Spring EP'!!! This is the 1st of 4 for the collection leading up to his full length debut album. Miso Women's Tee "Miso Logo"
Order Kevin Miso's latest EP "Smile"
Order Kevin Miso's debut EP! Below are two separate order options: Immediately upon purchase you will receive a digital download of the entire EP via e-mail for both order options. The physical EP (Old School Package) will be shipped directly to you within 72 hours of your purchase! Thank you so much for supporting my music! I hope you enjoy the tunes.